A few weeks ago, we shared few tips on how to start a budget! If you have done so, congratulations, it is a huge step in getting your finances in order. If you are still in the process of building it and have questions, we will be happy to answer them and help you if we can. 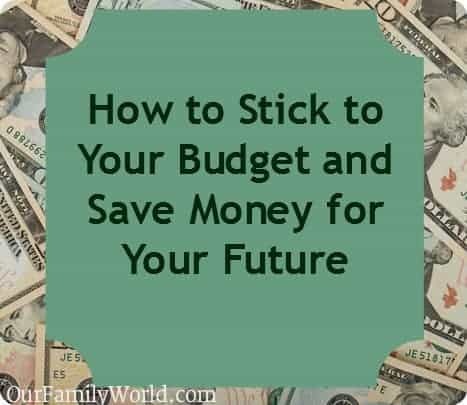 Building a budget is not an easy task but it is worth doing it! Here is the monthly budget I built few weeks ago. Yours will look a bit different depending on your expenses. –Pay cash whenever possible! But how? When? I don’t having a lot of cash when I do grocery shopping. – Avoid temptation: Not easy when you go grocery shopping with kids! Those tips are so true but how can we apply them to the budget on a daily basis? If it is a rent payment, you don’t have control over it! You typically don’t have much control over the expense either. But you can write down the renewal date and start shopping around for insurance quotes a few months before the renewal date. It may save you money! I choose a higher deductible too! (Around $500). Here is my thinking: I would rather put the difference I would pay in a saving accountant than pay it to insurance company! If (and God Forbids an accident happens, I have my saving account that covers my deductible). You may have a fixed portion for the service and a variable one with the consumption. As an example, I pay a monthly fee for my phone service and a certain amount of data. If I exceed I have to pay an extra! Those fees can add up quickly, especially when you are abroad! The roaming charges can be expensive. Watch your usage and don’t be shy about calling your phone company to ask how much you used. It can save you a lot of money down the road! Pay your bills cash! I cannot emphasize how much this will help you stick to your budget! Many companies offer credit card payments, you could use this service but you must be disciplined enough to pay the monthly statement. I do not use this service. I pay cash! You have control over it! I use a separate saving account where I cannot use my debit card to withdraw money! It is less temptation for me! Besides, I like watching the amount growing! Feels so good!! Seeing your money grow can really help you stick to your budget! 5- Baby sitting services or childcare services. If you are working and have children, chances are you are paying for childcare services. First read our tips on how to save money on childcare services. This amount is fixed (such as the rent). I don’t have control over it! I try to tie it to the pay deposit. From time to time, my husband and I go out for a date! Dating is so important for a relationship! To reduce the cost of baby sitting, we exchange baby sitting services with our neighbors! It is free and kids love it because they play with other kids. If you cannot, make sure to save the amount in your monthly saving account and use it accordingly. The following expenses : Food, take out, miscellaneous, and clothing can sometimes be hard to manage! Usually I have a third account for those expenses. (Some people use food jars to store their money, I prefer bank accounts. Use the solution that is suitable for you and best helps you stick to your budget). I divide those expenses per week! So for food, I can spend $33.25! I try to go to the grocery store once a week (maximum) and pay with my debit card (no credit card). If I spend less than $33.25, I transfer the non used money to the saving account! I know it takes a lot of discipline, but this is what it takes to stick to your budget and to build and emergency fund! This is what works for me! It may or may not work for you but I am sure you can use some of the tips above! Sticking to you budget is an ongoing process. If you notice that you didn’t budget one expense appropriately, change your budget. It is a back and forth process until you find your balance! Do you have any questions? Do you have any other ideas that can benefit to us all? Thanks for the tips!! We use a spreadsheet to track and it helps a lot. What do you do when your expenses out weigh your income and you’re just juggling to keep up? You need either to increase your income (by taking another job) or try to find ways to reduce your expenses. I am sure that there are some expenses that you can get rid of! Email me if you want. Wow, if I could just write it all down it would be a start. Thx for sharing this! I have a hard time sticking to a budget. It’s those little impulse buys that get me. And my kids aren’t so bad to shop with, it’s the husband! He’s an impulse shopping maniac! I put my bills into the Google Calender and I always know when things are due. I also schedule some my bills with my banl’s bill pay when they come in and make notes in my checkbook. Great tips! I have like 4 spreadsheets with budgets, graghs, spending charts, etc. I am a stickler for numbers!! wOW, that is impressive, thanks for the great tips. I have to budget better. I want to know how the heck you get by on a grocery budget of $133 a month?!! LOL! I don’t. It was only as an example! The whole budget is only $400 a month so $133 represents a third of the budget! !